It’s officially 2019 – and with every year comes new fad food trends and diets. 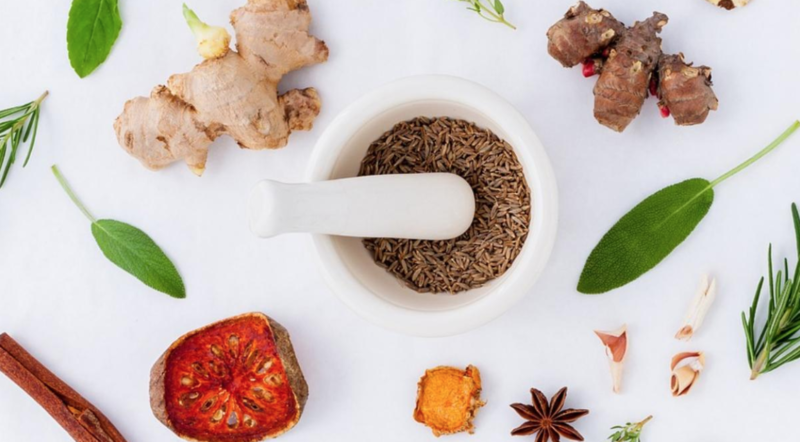 One trend expected to be on the rise this year is adaptogens. Adaptogens are considered to be herbs that provide a non-specific, non-toxic resistance against environmental stress to maintain homeostasis within the body (1). While adaptogens have been around since ancient times of Chinese medicine and Ayurveda, adaptogens were not named until the 1940’s. The idea of adaptogens was proposed during World War II, as Russian scientists were looking to improve soldiers’ stamina through herbal medicine (2). They hypothesized that these herbs would help their bodies throughout the stressful and adverse war conditions (1). Although evidence is limited, we know that these herbs structurally resemble catecholamines, a group of neurotransmitters that includes adrenaline, known to be involved in the body’s stress response and in regulating mood (1). Moreover, studies have examined their effects on mediators involved in stress response, making these supplements a market favorite for stress, anxiety, and depression. The adrenal glands respond to stress by releasing adrenaline and cortisol. Adrenaline and cortisol activate the body’s stress response causing your blood pressure and blood sugar to increase. Under normal conditions, the body would return to homeostasis after the stressor dissipates. However during constant stress, the body is unable to calm down, leading to adrenal fatigue and chronic inflammation. Adaptogens are said to decrease effects of stressors so that the body can “adapt” and return to homeostasis (1,4). They improve our body’s response to high levels of external stress at any state. Studies have reported that use of adaptogens can improve sleep and cognitive function, reduce stress/anxiety, relieve symptoms of arthritis, and more. (1,2) As always, these findings should be taken with a grain of salt since the it is extremely difficult to measure the body’s stress response and adrenal fatigue (not to mention the many factors that can contribute to inflammation). While you should be weary of these de-stressing supplements, you should also be aware of what they are! What are some common adaptogens? How are people using adaptogens? Powdered adaptogens are seemingly the most popular form. Consumers are adding them into their coffees, smoothies, teas, yogurts, baking mixes, and soups – but you can expect to see adaptogens moving into more commercial food products as the year goes on! Other adaptogens include dang shen root, jiaogulan herb, licorice rhizome, eleuthero root, and rhaponticum root (4). So should you use adaptogens? If you want to! Current research tells us that adaptogens have antioxidant and anti-inflammatory properties, so there’s nothing wrong in giving them a try if you’re willing to spend the money and are interested. In the meantime, more research is needed on their application toward chronic disease and use as supplements. It’s important to note that none of these supplements or powders are regulated by the FDA. Also, be sure to speak with your doctor before trying adaptogens to avoid any potential medication interactions as well as if you are pregnant. 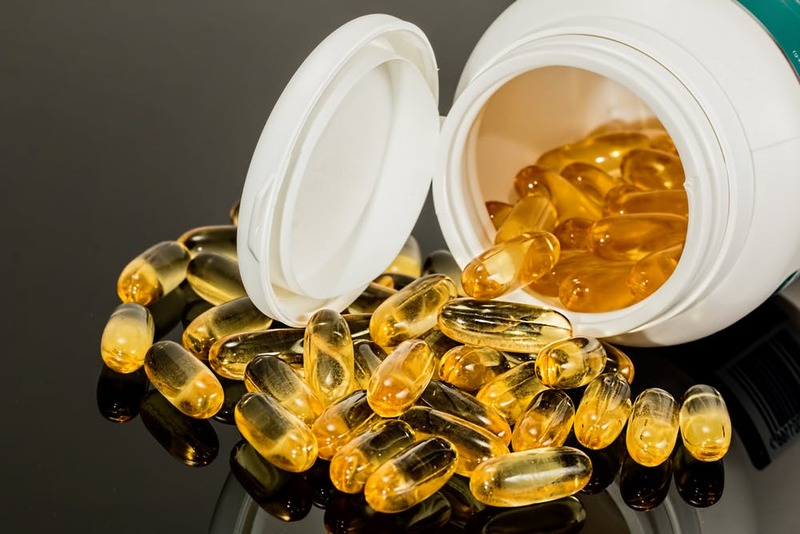 For evidenced based nutrition recommendations in regards to use of herbal supplements consult a registered dietitian nutritionist (RDN) after speaking with your doctor. Liao L, He Y, Li L, Meng H, Dong Y, Yi F, Xiao P. A preliminary review of studies on adaptogens: comparison of their bioactivity in traditional Chinese medicine with that of ginseng-like herbs used worldwide. Chin Med. 2018;13(57). doi:10.1186/s13020-018-0214-9. Retelny, VS. Exploring adaptogenic herbs. Food and Nutrition Magazine. https://foodandnutrition.org/september-october-2017/exploring-adaptogenic-herbs/. Published October 5, 2017. Rieger M, Silberman L. Adaptogens: are they legit? Nutritious Life. https://nutritiouslife.com/nurture-yourself/adaptogens-are-they-legit/. Accessed January 13, 2019.